U.S. Customs and Border Protection surveillance video of Alejandro Castillo (gray shirt and black hat) and his accomplice (black and white top, shorts) crossing the border from Nogales, Arizona into Mexico on August 16, 2016, just after 9:00 p.m. Castillo has been added to the FBI's Ten Most Wanted Fugitives List in connection with the murder of a woman in Charlotte, North Carolina, and a reward of up to $100,000 is available for information leading directly to his arrest. The FBI is offering a reward of up to $100,000 for information leading directly to the arrest of alleged murderer Alejandro Castillo. The FBI is offering a reward of up to $100,000 for information leading directly to the arrest of a North Carolina teenager accused of murdering his ex-girlfriend. El FBI ofrece una recompensa de hasta $100.000 dólares por información que conduzca directamente a la captura del supuesto asesino Alejandro Rosales Castillo. A North Carolina teen charged with murdering his former girlfriend in 2016 is the newest individual to be named to the FBI’s Ten Most Wanted Fugitives list. The FBI is offering a reward of up to $100,000 for information leading directly to the arrest of Alejandro Rosales Castillo. Castillo's last known residence was in Charlotte, North Carolina. He has ties to Phoenix, Arizona. Castillo was seen crossing into Mexico and may reside in San Francisco de los Romo, Aguascalientes, or Pabellón de Arteaga, Aguascalientes. He also may have traveled to the Mexican states of Guanajuato or Veracruz. He may wear his hair short and shaved on the sides. 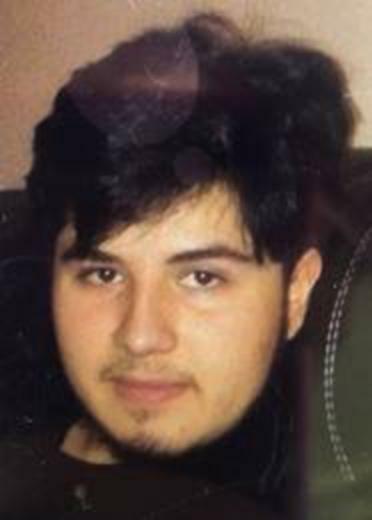 Alejandro Rosales Castillo is wanted for his alleged involvement in the murder of a co-worker in Charlotte, North Carolina, in 2016. The female victim’s vehicle was located at a bus station in Phoenix, Arizona, on August 15, 2016. On August 17, 2016, the victim’s body was located in a wooded area in Cabarrus County, North Carolina, with a gunshot wound to the head.